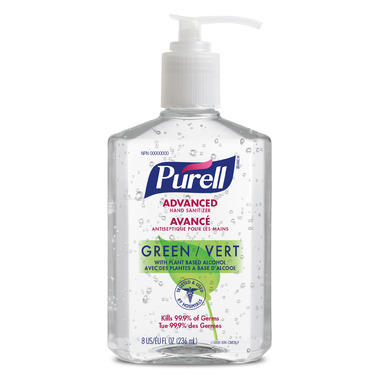 The Purell Advanced Green Hand Sanitizer is Mother Nature's disinfectant. Featuring plant-based ethyl alcohol, this hand sanitizer has the same powerful 99.9% germ killing power as regular Purell, plus essential oils and skin conditioners. Works great with no strong smell. great size for the bathroom. Love this. Milder than the normal ones, not as strong smelling but works well.